Pre-marital screening of couples is crucial to prevent genetic disorders, congenital anomalies & several medical, psychological marital problems, according to H.E. Dr. Maryam Matar, Founder and Chairperson, UAE Genetic Diseases Association. 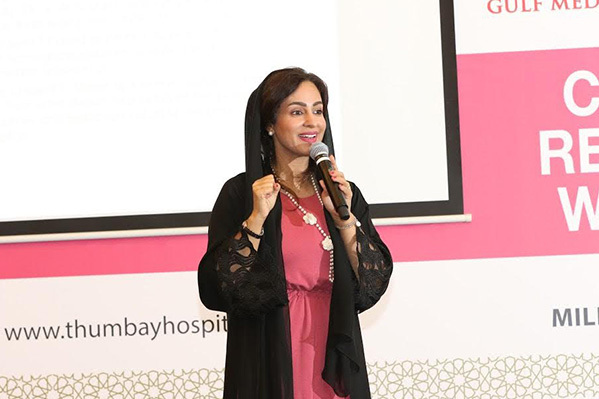 Speaking at the ‘Conference on Recent Trends in Women’s Health’ at the Millennium Airport Hotel, Dubai on Friday, 17th March 2017, she stressed that pre-marital screening was imperative to examine the detection and prevention of at risk marriages, minimizing the prevalence and impact of common genetic disorders. Leading doctors of the country shared their experience and delivered talks during the conference. 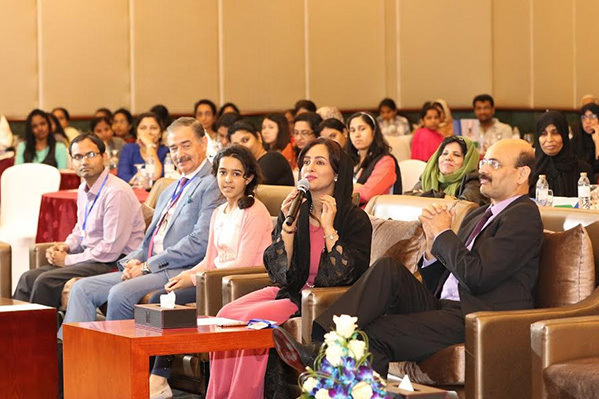 Speakers at the conference touched upon the importance of implementing the appropriate guidelines for screening diseases affecting women’s health, and employing evidence-based approaches for diagnosis. Developing evidence-based management and treatment strategies to address diseases affecting women was also stressed. They also spoke about the importance of counseling and educating female patients to promote health management and disease prevention. Speaking on the topic Gestational Diabetes, Dr. Kishore Kumar Katam, Specialist Endocrinologist Thumbay Hospital – Ajman suggested preconception counseling, lifestyle modification, adequate antenatal care, choosing the right agent for glycemic control, preferring insulin over other medications and postpartum evaluation as some sure shot ways to keep diabetes at bay, during pregnancy. Discussing Pre-Eclampsia in Parturient – Evidence Based Approach, Dr. Prashanth Hegde, Medical Director and Specialist Gynaecologist Thumbay Hospital – Ajman outlined evidence-based approach in the management of preeclampsia and discussed ways to optimize care for such patients. “Use of Evidence based guidelines coupled with preeclampsia-specific checklists, team training and communication strategies, and continuous process improvement strategies are likely to reduce hypertensive related morbidity and mortality among pregnant and parturient women,” he concluded. H.E. Dr. Maryam Matar, Founder and Chairperson, UAE Genetic Diseases Association (GDA) spoke on the topic Importance of Premarital Screening (PS) and Improving the Quality of Genes. “The Premarital Screening Program in the UAE is mandatory & influences marriage decisions. It plays a crucial role in that it allows informed reproductive decisions. The GDA strives to reduce the prevalence and impact of common genetic disorders in the UAE through preventative awareness programs, screening based on research studies and knowledge sharing, conducted by experts in the field using the most innovative technology at the lowest costs,” she explained. Speaking on the topic Genetic Engineering – The Next Designer Baby is on the Way, Dr. P. K. Menon, Director of Thumbay Labs discussed in detail the strategies, technologies and implications of genetic engineering with regard to designer babies. Dr. Pankaj Srivastav, Consultant Gynecologist Conceive Fertility Hospital – Sharjah outlined the aim, strategies and complications of ovulation induction, discussing the topic Evolving Trends in Ovulation Induction. Dr. Osama Mahmoud Rizk Mohamed, Consultant Gynecologist and Medical Director of Thumbay Hospital Fujairah explained Ovarian Malignancy. Elaborating on his topic Rehabilitation in Breast Cancer, Dr. Praveen Kumar, Dean– College of Allied Health Sciences, GMU said that maintaining a healthy body-weight, abstaining from smoking and alcohol and engaging in regular physical activities were some ways to lower the risk of breast cancer. “Exercise is increasingly being implemented as a therapeutic tool in patients with breast cancer. Physical exercise has shown to be a suitable adjunct therapy to battle long term chronic conditions and has been successful in reducing mortality and improving overall quality of life,” he added. 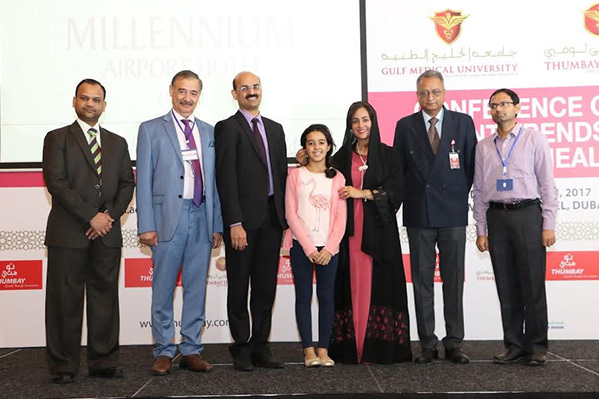 The ‘Conference on Recent Trends in Women’s Health’ was organized by Gulf Medical University – Ajman, in association with the Department of Obstetrics and Gynecology – Thumbay Hospitals. Accredited by the Ministry of Health for 5.5 CME hours, the conference was attended by healthcare professionals across broad disciplines including doctors, nurses, researchers and policy makers. The conference speakers were honored with mementos. Certificates were distributed to the seminar attendees.